The Officer-in-Charge of the Colombo Plan Staff College (CPSC) Prof. Dr. G. Kulanthaivel, supported by immediate past Director General Dr. Mohammad Naim Yaakub and Executive Secretary Ms. Adrienne Abril met key officials from the Department of Polytechnic Education (DPE), Ministry of Higher Education (MOHE), Malaysia headed by the Director General Y. Bhg. Datuk Mohlis Jaafar on August 4, 2015. 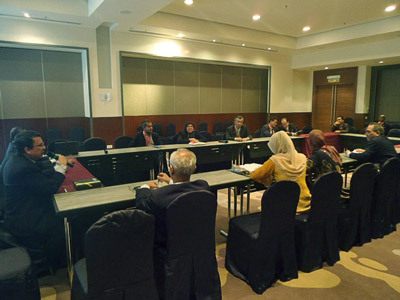 The meeting, arranged by Dr. Naim who is currently heading the TVET Special Project of DPE, MOHE, took place as a side meeting of the then ongoing Asia-Pacific Conference on Education and Training (ACET) at Berjaya Times Square, Kuala Lumpur (See related story: CPSC Shares APACC's Quality Assurance Mechanisms in TVET at ACET 2015 Malaysia). 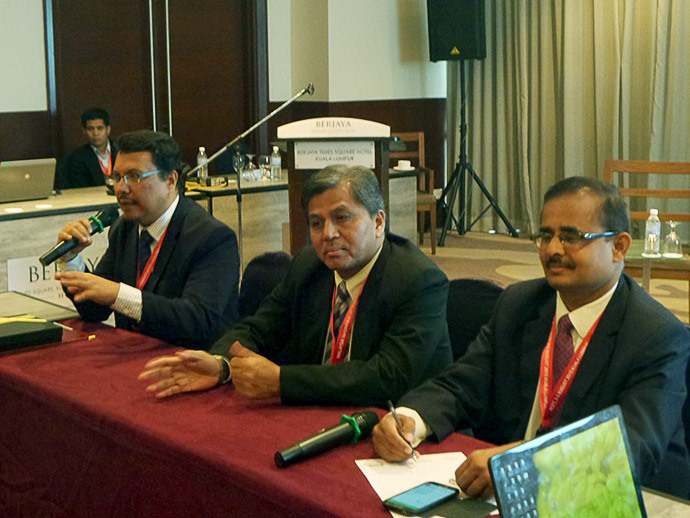 The discussion focused on encouraging DPE to be part of the latest innovations of the Staff College particularly the CPSC Asia Pacific Technical and Vocational Education Centers (CAPTVEC) and Association of Asia Pacific Accreditation and Certification Commission [APACC] Accreditees (AAA). Qualified applicants as CAPTVEC will have the chance to avail opportunities at CPSC such as internship program, networking with international partners, collaboration for programs may it be seminars, conferences, and any other program of common interest, and lastly, will have access to current TVET information, activities, and trends in the region through free subscription to CPSC publications. Another discussion point is the possible hosting by DPE of the second meeting of APACC awardees and invited institutions sometime in September/October 2015 to firm up the charter, organization, and programs of AAA. The first meeting was held on June 24, 2015 at the CPSC headquarters in Manila, Philippines. The association was established to foster cooperation and strengthen regional ties among APACC accredited institutions by expanding cross-border education services. Its specific objectives are regional mobility through staff and student exchange; to expand learning opportunities; to ease sharing of learning resources; to improve quality of the delivery of TVET programs; and to strengthen operations of TVET institutions to realize the full benefits of APACC accreditation. Pn. Noor Aidi Nadzri, APACC National Coordinator for Accreditation in Malaysia and Director of Instructional and Learning Digital Division of DPE was present during the meeting and was tasked to finalize with APACC the dates of the second meeting.